Ahhhhhh! I walked into the bathroom and slammed the door behind me! I was confident my dramatic outburst would show my husband just how much he was hurting me. I desired reconciliation, but more so I wanted him to understand my perspective. I wanted him to admit that he was wrong and validate my feelings through a sincere apology. Until then I would camp out in the bathroom and withhold my heart from him. With my back against the wall, I refused to look at the situation from a different point of view. My convictions were powerful, convincing me I did not need to reassess in any way. Motivated by fear, I could not comprehend, nor receive or extend grace for my behavior or his. I just didn’t know how to let go of the emotions swirling inside my heart and mind. In the early years of my marriage, my husband and I fought daily. I often thought to myself, who is this guy? My husband was not living up to my expectations of a husband and I doubted the love we had. With every contention that boiled between us I stewed in my frustration desiring nothing more than my husband to surrender. I was convinced that he was the problem for our marital misfortune. I even prayed to God and asked him to change my husband. I could not stop believing that he was the reason we fought and hurt so much. I also told my husband how he was the problem and how changing his ways would heal everything. The real problem was me. I failed to recognize how I was contributing to our marital fights. Living in denial, I was not willing to accept the truth that my character was flawed, that I had sin that was affecting my husband, that I was imperfect. It took a few years, but God finally got through to me. He unveiled me and helped me get to know the real me. I experienced God’s amazing grace and it felt so good. I grasped an understanding I never had before, that it was ok I failed and that God loved me no matter what, that I had the opportunity to extend grace to my husband, and that grace is a gift that can be given at any moment not necessarily after an apology. Grace is bigger than fear! God showed me areas of my life in need of transformation. He also transformed those areas and behold many of my marital fights dissipated. I learned how receiving grace and extending grace could transform marriage! God also taught me that it is good to pray for my husband and it was necessary. However, it was all the more crucial that I pray for myself and allow God room to move in my heart. For those of you who may be in the midst of a marital battle or believing that your husband is wholly responsible for your unhappiness, I want to share this simple truth with you today. Your husband may not be the problem! I know this sounds harsh, and I don’t want it to hurt you. I just want you to be aware that marriage is affected by both you AND your husband. I am not saying your husband is not influencing how certain situations erupt, I am simply addressing that you play a very vital role as an influencer as well. The point is not whether your husband is at fault, he very well may be, the point is that no matter who is at fault, you are responsible for you! Only you can make a heart change in your heart, and that ability is invaluable to marriage. I wish as a new wife that I had recognized how powerful my actions affected our marriage. I wish that someone had urged me not to blame my husband for everything. I wish someone was firm with me and shook me out of my selfish way of thinking. I wish I had always known grace. Yet, I know now and I share it with you now! I urge you to pray and ask God to unveil you. Ask God to show you areas of your life that need to be transformed and then ask Him to renew you! Receive grace from God for your past and ask God to help you extend grace to your husband. God will honor your humility and your marriage will benefit greatly as God molds your heart. And don’t stop praying for your husband too! Ask God to speak truth into your husband’s life and to transform him as well. Marriage can either be a tug-of-war led by pride or it can be a river running in one direction guided by the banks of humility. Have you ever been convinced that your husband is the problem with disregard to your behavior? Jennifer Smith began UnveiledWife.com, a web-based ministry for wives, in March 2011. She publishes weekly marriage articles including encouragements, devotions, and prayers of the day. She authored The Unveiled Wife, Wife After God, and 31 Prayers For My Husband. Jennifer is devoted to encouraging wives all around the world to develop God-centered marriages. 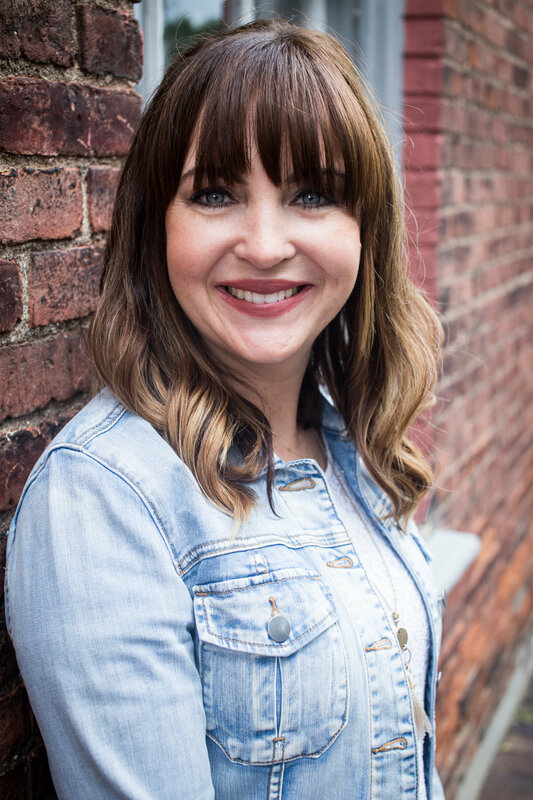 Connect with Jennifer on social media @unveiledwife!